The Castelli Narcisista overshoe has been a perennial favourite over the past few years, recognised by many as a capable windproof and water-repellent overshoe. This latest version has been completely re-engineered to provide even more protection from the elements; now made from fleece-lined Gore Windstopper X-Fast fabric to improve breathability with new neoprene inserts that are even softer and more-stretchy for an enhanced fit. 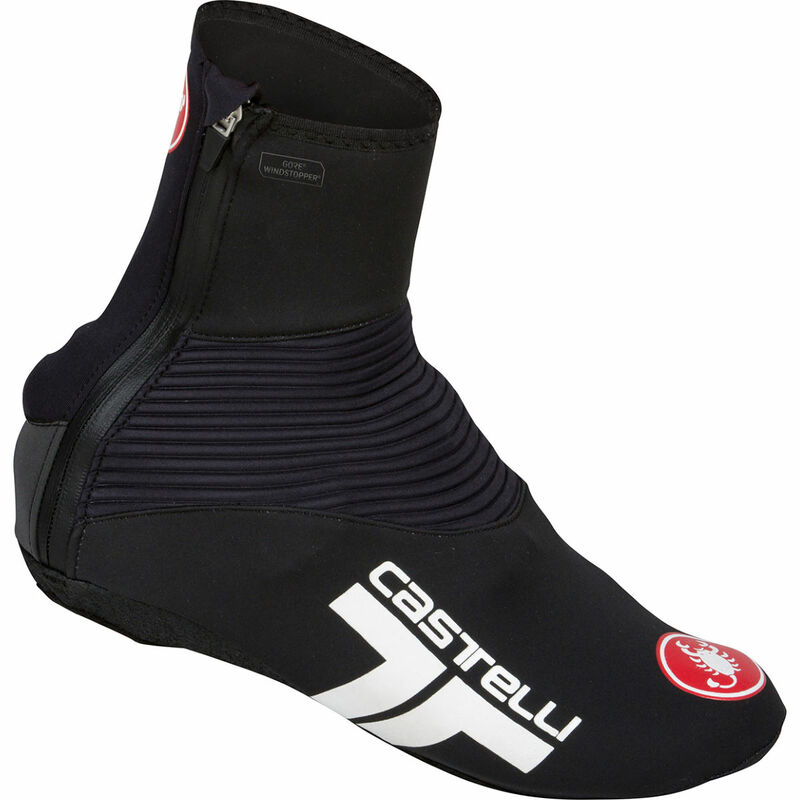 Castelli have also raised the cuff for more coverage and protection making the Narcisista 2 an exceptionally warm overshoe that is ideal for coping with cold conditions and light showers or road spray. Best winter shoe covers I've owned! They are water resisistent and WARM! I'm not a big cold weather rider but I tested these down in low 40's /upper 30's with a toe warmer and I couldn't feel any chill. It had rained the day before so there was some road spray which I didn't feel either. I got the fluro color which looks GREAT! These are by far the best overshoes I have purchased. They keep your feet nice and warm without being too bulky. They look cool, obviously, they are Castelli! The best thing about them is that they are fairly easy to get on whilst still fitting snuggly.